Look Back: Episodes 13-15 — Making Game of Thrones " "
Episode 13: "What's Dead May Never Die"
The Starks have been separated for months, and younger ones are still having trouble adjusting. Bran is troubled by dreams in which he sees the world through Summer's eyes. Arya can't forget that her father was beheaded in front of her – and even though she didn't see the act itself, she remembers all the details around it. The two find solace where they can: Bran's comes from Maester Luwin who assures him that there's nothing to fear in his dreams; Yoren tells Arya he would go to sleep reciting the names of those he never wanted to forget. 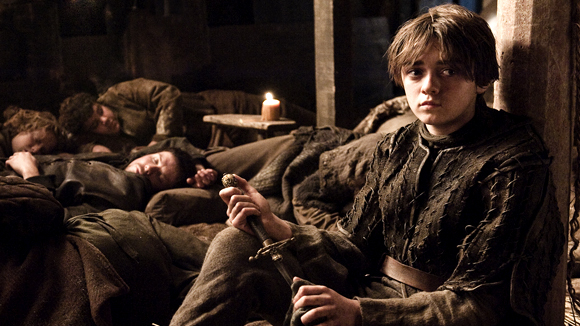 Things aren't going much better for the other Starks – be they older or ersatz. Sansa has a new handmaiden (Tyrion's whore, Shae) but ends up having to teach her how to do her new job. Catelyn loses patience with Renly Baratheon who is only playing at king. Jon Snow is clobbered by Craster for spying on him – and then dressed down from Mormont when that gets the Watch kicked out of Craster's Keep. Theon Greyjoy decides to abandon his Stark upbringing entirely and casts his lot with the Ironborn, going so far as to pledge himself to the Drowned God. 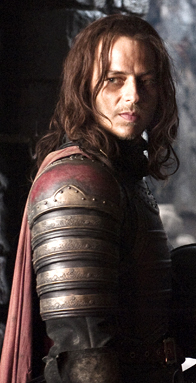 Arya's situation darkens considerably when Amory Lorch and Lannister forces attack the men of the Watch. Killing Yoren, the Lannister guards take the survivors hostage and march them off to Harrenhal. The only Westerosi who experiences an even worse run of luck is Grand Maester Pycelle. Exposed as a spy for the Queen Regent, Pycelle is promptly condemned to the Black Cells -- presumably where conjugal visits are not allowed. 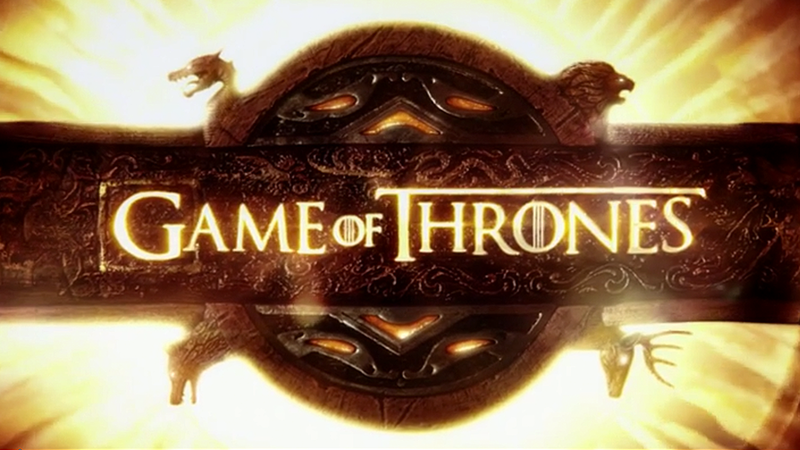 Episode 14: "Garden of Bones"
In case there was any confusion, Joffrey Baratheon is not a nice boy. Not to his fiancée, his mother, or even to two random whores procured for his pleasure. In fact, the only time Joffrey feels pleasure is when someone is smacking someone else around, as recently evidenced by his desire to see Ros (Littlefinger's best whore) brutally beat Daisy (Littlefinger's newest whore) with his scepter. Far East, Daenerys Targaryen approaches the gates of Qarth and begs for entrance. The city's wise men, known as the Thirteen, turn their backs when she refuses to show her dragons. One man interjects, Xaro Xhoan Daxos, and it's on his word that the remaining members of her khalasar are allowed into the city. Happily, Robb Stark was raised with better manners. Not only does he reject Roose Bolton's suggestion that they torture their prisoners for intel, he helps a pretty young doctor from Volantis amputate the leg of a wounded Lannister soldier. At Harrenhal, Arya Stark is getting a different lesson in physiology: Gregor ('The Mountain') Clegane and his pal "Tickler" are strapping prisoners into a chair and interrogating them with help from rats trapped in buckets. Arya is never chosen as a prisoner, but upon arrival, Tywin Lannister taps her as his new cup-bearer. After accepting her husband's bones from Littlefinger, Catelyn Stark tries to mediate the animosity between the Baratheon brothers. Neither side yields, forcing Stannis to switch to Plan B: Magic. He enlists Davos Seaworth to smuggle Melisandre ashore. After doing so, the former pirate is astonished to watch the priestess give birth to a shadowy creature. Episode 15: "The Ghost of Harrenhal"
Oh Renly, we hardly knew ye. The King in Highgarden's short reign came to an inglorious end when the shadow his brother sent – and Melisandre birthed – entered his tent and stabbed him. Things then got tricky for Brienne of Tarth and Catelyn Stark, witnesses to the mystical assassination. Realizing that blaming the execution on a shadow would be a poor defense, the two are now on the run. As planned, most of Renly's forces defect to Team Stannis, but not the Tyrells. Loras, hot for revenge, suspects his lover's brother. Margaery spends more time grieving for the throne she’ll never grace. Naked ambition hasn't been limited to the Stormlands. Meeting up with their scout, Qhorin Halfhan at the Fist of the First Men, the Night's Watch learns Mance Rayder is gathering every wildling alive to march south. Jon immediately decides he'd rather join Qhorin's mission than play butler. (Watch the video below to better understand why.) Off Pyke, Theon Greyjoy takes command of his first ship ... and some advice from his first mate: take Torrhen's Square and Winterfell will be completely vulnerable. The only person playing nice is Jaqen H'ghar. Grateful that Arya saved him and two others from a fiery end, he tells her that they need to give the Red God three lives to make things square. Ever dutiful, Arya names the Tickler as her first request. Would Renly have been a good king? I guess we'll never know. Game of Thrones Recap: "The Night Lands"